Freida Payne, Ph.D., RN, CFNP, serves as coordinator of both nurse practitioner specialties in the College of Nursing, and is also a site visit team leader for the nursing school accrediting body, the Commission on Collegiate Nursing Education. 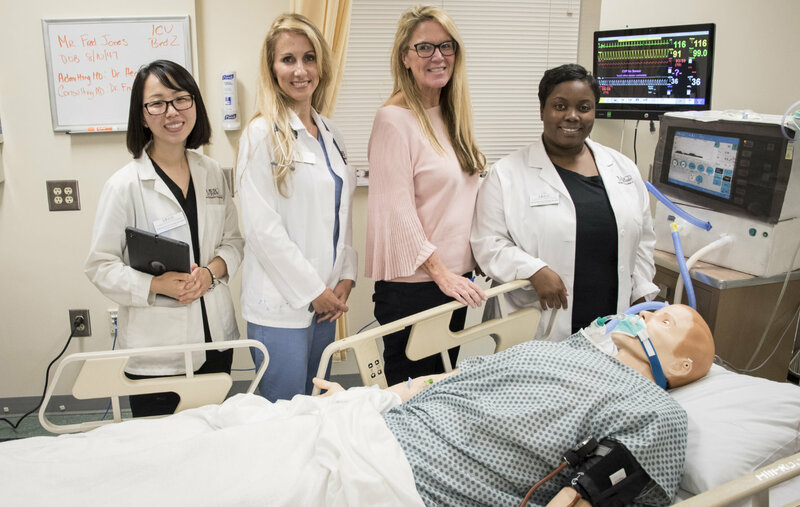 Mercer’s inaugural AGACNP class began coursework in August 2016 and completed it in December 2017, earning a Master of Science in Nursing from the College of Nursing, which is the state’s longest-standing educator of nurses. The AGACNP specialty is the newest track offered in the College’s master’s program. Nurses may also obtain nurse practitioner specialties post-baccalaureate through the College’s Bachelor of Science in Nursing (BSN) to Doctor of Nursing Practice (DNP) option. The graduates, who will formally walk at the University’s Atlanta commencement in May, have been complimentary of the program, said Linda Streit, Ph.D., RN, dean of the College of Nursing. The mission of the American Nurses Credentialing Center (ANCC), a subsidiary of the American Nurses Association (ANA), is to promote excellence in nursing and health care globally through credentialing programs. ANCC’s internationally renowned credentialing programs certify and recognize individual nurses in specialty practice areas. It recognizes healthcare organizations that promote nursing excellence and quality patient outcomes, while providing safe, positive work environments.